Uganda has been inhabited for thousands of years. Some of the earliest farmers were Bantu speakers, who gradually cleared forest to develop agricultural land for cultivation, and maintained a kinship-organised system of government that expanded by around 1000 AD to much larger polities, some governing over a million people. At the same time there were also large pastoralist groups, including both Nilotic and Bantu-descended peoples, with a complex interaction between pastoralist and agriculturalist societies. In the mid 19th century, Uganda came in increasing contact with outside influences, including from Egypt, Britain, France, Germany and Zanzibar-based Arab Muslims, often with military conflict. Uganda came under British colonial rule in 1894, gaining independence in 1962. Since then it has seen a number of periods of political and social unrest, some country-wide and some focussed in particular areas. Since the 1980s, a civil war between the Ugandan state and the Lord’s Resistance Army in northern Uganda, and participation in the Second Congo War, among other things, have had severe impacts on the development of infrastructure, including water supply. Services are the largest sector of Uganda’s economy, contributing over 50% of GDP in 2007. However, Uganda’s export income is also heavily reliant on coffee, which is the largest agricultural export. Other important sources of export income are oil, base metals and products, and fish. In the mid 2000s, commercially viable oil and natural gas reserves were confirmed in Uganda, and in 2017, production licences were held by several international companies. Groundwater is the main source of domestic water supply for most people in rural areas, and for public water supply systems in around 75% of all urban areas. Groundwater is also used for industry, for example in Kampala City for several mineral water and chemical industries. Please cite this page as: Owor, Tindimugaya, Brown, Upton, Ó Dochartaigh and Bellwood-Howard, 2018. Uganda. Map developed from USGS GTOPOPO30; GADM global administrative areas; and UN Revision of World Urbanization Prospects. For more information on the map development and datasets see the geography resource page. Much of Uganda is located on the East African plateau, which has an elevation of 800-2000 m above sea level. Mountainous regions along the western (Ruwenzori Mountains) and eastern borders reach an elevation of over 4000 m.
The climate of Uganda is classified as tropical, but varies from rainforest or monsoon in the southeast to drier and hotter savannah in the north. Average annual precipitation in the north is around 600 mm, while in the south it is more than 1600 mm. Rainfall generally occurs throughout the year, particularly in the south of Uganda. There are two wetter seasons between March and May, and September and November. Temperatures are slightly higher during the wet seasons. More information on average rainfall and temperature for each of the climate zones in Uganda can be seen at the Uganda climate page. The southeast of Uganda is dominated by Lake Victoria, which also extends into neighbouring Kenya and Tanzania.. Several lakes are also located within the Western Rift Valley, which runs approximately north-south along the western border of the country. The majority of Uganda sits within the drainage basin of the River Nile. Lake Victoria is the source of the White Nile, which runs north through Uganda as the Victoria Nile, through Lake Kyoga in central Uganda and into Lake Albert in the west. From Lake Albert, the Albert Nile runs northwards towards the border with South Sudan. Lake Albert, Lake George and Lake Edward are situated in the Western Rift Valley along the border with the Democratic Republic of the Congo. River flow gauging has been carried out at various locations in Uganda since the early-mid 1950s. Most stations provide daily measurements, which are held by the Directorate of Water Resources Management, Ministry of Water and Environment (Entebbe). Major surface water features of Uganda. Map developed from World Wildlife Fund HydroSHEDS; Digital Chart of the World drainage; and FAO Inland Water Bodies. For more information on the map development and datasets see the surface water resource page. Fluvisols are present along the main river systems, particularly the Victoria Nile as it flows towards the Western Rift Valley. The south and centre of Uganda is dominated by Ferrasols, Acrisols, and Nitisols. Ferrasols are widespread in central and eastern Africa and are generally associated with high rainfall and relatively old (Tertiary) land surfaces. As a result, they are highly leached. Acrisols, which are acidic and clay-rich, also form in areas with high rainfall and are generally nutrient-deficient. Nitisols are commonly found on iron-rich basic rocks with gently sloping ground. They have a high clay content and are very fertile. Clay-rich Vertisols have also developed over weathered basic rocks, but are more commonly found on valley floors in the north-east of Uganda. Leptosols, which are generally shallow and form over hard rock or gravelly material, are common in the northwest of Uganda. 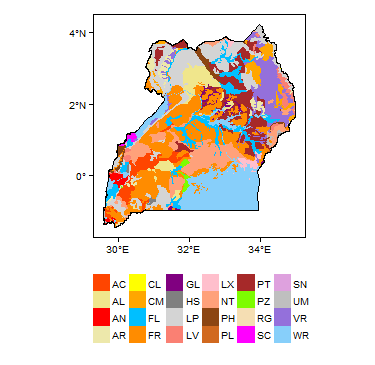 Soil Map of Uganda, from the European Commission Joint Research Centre: European Soil Portal. For more information on the map see the soil resource page. 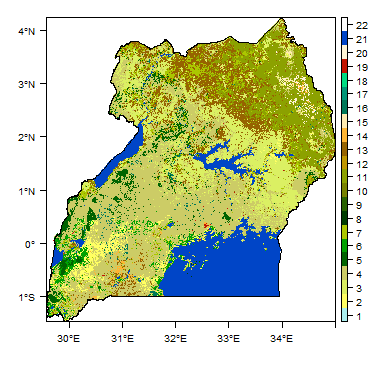 Land Cover Map of Uganda, from the European Space Agency GlobCover 2.3, 2009. For more information on the map see the land cover resource page. This section provides a summary of the geology of Uganda. The geology map on this page shows a simplified overview of the geology at a national scale (see the Geology resource page for more details). A higher resolution national geological map, at 1: 1 million scale, was published in 2014 by the Geological Survey of Finland (Lehto et al. 2014), with detailed supporting information in an accompanying report (Westerhof et al. 2014). Further information can be found in the references listed at the bottom of this page. Many of these references can be accessed through the Africa Groundwater Literature Archive. Geology of Uganda at 1:5 million scale. Based on map described by Persits et al. 2002/Furon and Lombard 1964. For more information on the map development and datasets see the geology resource page. Lake Victoria strandline deposits, Lake Kyoga raised beach deposits, and Albertine Nile deposits Pleistocene-Holocene Discontinuous deposits, predominantly beach sands and gravels, with finer silts and clays. Albertine Graben Late Eocene-Neogene This is a hydrocarbon-bearing sequence of terrigenous sediments, alkaline/sodic volcanics and ultra-potassic and carbonatitic volcanics. This thick (4 km) sequence was laid down in the Albertine Rift, which forms part of the Western Rift of the East African Rift System. Karoo Basins Mesozoic-Palaeozoic Karoo deposits are restricted to a few small occurrences in southern Uganda and comprise clays, minor arenaceous and carbonaceous beds, siltstone, diamictites and dropstones. Rwenzori Fold Belt Palaeoproterozoic Gneissose-granitoid basement in southern Uganda formed during the Eburnian Orogenic Cycle. The fold belt wraps around the Tanzania Craton with a predominantly ENE-WSW structural trend in the east, curving into a N-S trend in the south-west. Buganda Group Palaeoproterozoic Metasediments and mafic, partly pillow-textured volcanics overlying the Rwenzori fold belt. The Buganda group is intruded by syn- and post-tectonic granitoids of the Sembabule and Mubende-Singo suites. Kagera-Buhweju Supergroup Palaeoproterozoic Deposited following the Eburnian Orogenic Cycle, these platform deposits comprise post-tectonic molasse-type sediments, including quartzite, pelite, conglomerate, shale and phyllite. These rocks have been subjected to complex tectonic processes and are mildly deformed. North Kibaran Belt Palaeoproterozoic This belt in southwest Uganda, which is younger than the Kagera-Buhweju Supergroup, includes metasediments of the Akanyaru-Ankole Supergroup and the North Kibaran Igneous Province. The North Kibaran Igneous Province consists of an alignment of mafic and ultramafic layered complexes and mafic dykes and sills, including the Lake Victoria Arcuate Dyke Swarm. 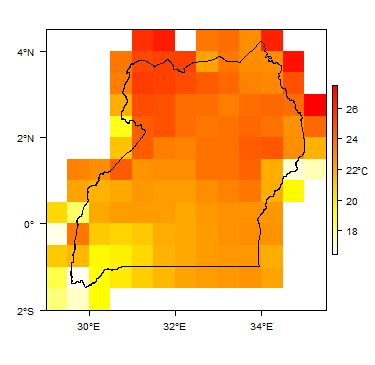 The estimated thickness of the North Kibaran Belt ranges from 9-14.5 km in central Rwanda (this represents the centre of the North Kibaran trough), to a few kilometres thick in NW Tanzania. Mityana Group & Bunyoro Group Palaeoproterozoic The Mityana Group overlies the Buganda Group and consists of platform sediments including conglomerate, sandstone, siltstone and gritstone. It is not intruded by dykes of the Lake Victoria Arcuate Dyke Swarm and is therefore younger than the metasediments of the North Kibaran Belt. The younger Bunyoro Group comprises rocks of glacial and periglacial origin related to the Sturtian glaciation. West Nile Block Archean This forms the Ugandan section of the Bomu-Kibalian Shield of northeastern Congo. It is predominantly composed of Mesoarchean granulite, gneiss, granitoid and charnokite, and is intruded by younger (Neoarchean) mafic volcanics. North Uganda Terrane Archean This unit is mainly composed of Neoarchean gneissose-migmatic rocks and is separated from the western Nile Block by the Madi-Igisi Belt. Madi Igisi Belt Archean-Proterozoic This is a narrow thrust and shear belt trending north-south between the West Nile Block (WNB) and North Uganda Terrane (NUT). It is composed of reworked rocks of the WNB and NUT and younger Proterozoic meta-volcanics, metasediments and ultramafics. Karamoja Belt Proterozoic The Karamoja Belt is found along the border with Kenya and is a representation of the East African Orogen. It comprises a west to north-west trending thrust belt of amphibolite-grade supracrustals, granitoids and ophiolites. This belt contains the Aswa Shear Zone, which is a brittle-ductile, north-west trending, mega strike-slip shear zone, with complex, anastomosing fault planes. Midigo-Adjumani Suite Proterozoic This suite of granitoids is found in the West Nile Block and North Uganda Terrane in northern Uganda. Lake Victoria Terrane Neoarchean Forms part of the Tanzania Craton and is a predominantly a granite-greenstone terrane with nepheline syenite and gabbro intrusions. West Tanzania Terrane Neoarchean Also forms part of the Tanzania Craton comprising granitoid-gneissic-migmatic rocks. 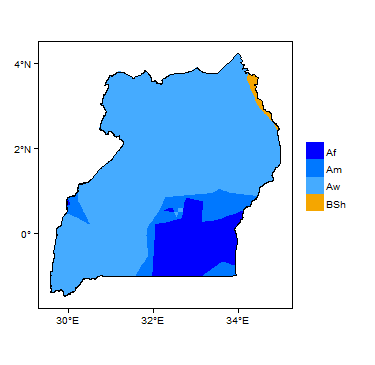 This section provides a summary of the hydrogeology of the main aquifers in Uganda. More information is available in the references listed at the bottom of this page. Many of these references can be accessed through the Africa Groundwater Literature Archive. 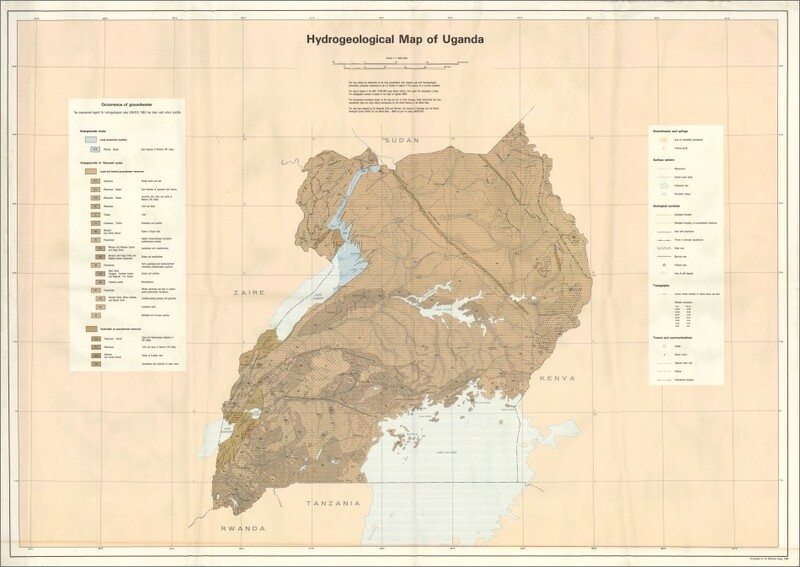 - A 1989 national hydrogeological map of Uganda, which can be viewed on the WHYMAP website. The legend for this map can be viewed separately. - A series of national and district (e.g. at scales of 1:160 000) groundwater maps, which were produced through the EU-funded Mapping of Groundwater Resources Programme. These include maps of water supply coverage, hydrogeological characteristics, groundwater potential, water quality and groundwater development technology options. An introduction to this programme can be found in Tindimugaya (2004). Many outputs from the programme, including maps and reports, can be found on the Ministry of Water and Environment website. The main aquifer used in Uganda is weathered and/or fractured Precambrian crystalline basement rocks. These aquifers generally have low permeability and low storage. Their physical aquifer properties are largely a function of tectonic history and long-term cycles of weathering and erosion. Most boreholes in the country tap groundwater from basement aquifers. Sedimentary aquifers in Uganda are mainly unconsolidated alluvial (river) deposits, in currently active or palaeo river channels. These can be thick - more than 50 m thick in some places - and can be moderately to highly permeable. Very few boreholes have been drilled in volcanic rocks, Precambrian metasedimentary rocks or younger consolidated sedimentary rocks in Uganda, and little is therefore known about their aquifer properties. Alluvial (fluvial) Unconsolidated sedimentary aquifers in Uganda are mostly found along current river channels or palaeochannels in which fluvial/alluvial gravel, sand and silt have been deposited. For example, in southwest Uganda at Rukungiri there are pockets of palaeochannel alluvial gravels tens of metres thick, which have very high aquifer productivity (Tindimugaya 2008). Yields of more than 50 m³/hour are possible in the unconsolidated fluvial aquifers. Hydraulic conductivity typically varies between 0.02 and 15 m/day, while average transmissivity is 34 m²/day. Average storage is 0.1. Unconsolidated aquifers in Uganda are generally unconfined or semi-confined. They can be greater than 50 m thick where there are significant palaeochannel deposits. Water table depths are highly variable and may be up to 20 m below the ground surface. Borehole depths are also variable, but may be up to 60 m when drilled into palaeochannels. Groundwater from the unconsolidated fluvial aquifers typically has low total dissolved solids (<1000 mg/l). The shallow aquifers are highly vulnerable to pollution; microbial contamination has been observed in many urban areas as a result of inadequately contained faecal waste. The unconsolidated fluvial aquifers are actively recharged by rainfall. Basement Complex The basement complex generally forms discrete aquifers of limited spatial extent. They occur within the unconsolidated weathered regolith (saprolite), or underlying fissured bedrock (saprock). The bedrock permeability is greatest close to the saprock-saprolite interface and decreases with depth. It is largely controlled by the number, distribution, and connectivity of fissures/fractures. The permeability of the saprolite is highly variable, but is an important source of groundwater storage. Yields in the basement complex vary between 0.5 and 12 m³/hour, with higher yields generally found in the fissured granites and gneiss. The bedrock aquifer have an average transmissivity of 14 m²/day and an average storage coefficient of 0.014 (although it can be as low as 10-4). The transmissivity of the weathered zone typically ranges from 0.1 to 20 m²/day, with an average of 16 m²/day. Average storage in the weathered zone is 0.21. The basement aquifers are generally semi-confined or leaky. The depth of the piezometric surface or water table can range from 1 to 45 m, but is typically 5-20 m below the ground surface. The aquifers are typically between 20 and 45 m thick and boreholes are generally drilled to depths of 45-70 m.
Abstraction from the basement aquifers is usually by hand pump and rates are therefore low. Some towns with motorised pumps, which are able to abstract at higher rates, are experiencing declining water levels, for example Rukungiri in southwestern Uganda. Groundwater quality is highly variable. There are no widespread inorganic water chemistry problems. However, elevated iron and manganese are common in groundwaters from alumina-enriched laterite deposits. Total dissolved solids are typically around 500 mg/l, and pH is usually neutral to slightly acidic; where acidic, it can have the capability to corrode ferrous borehole casings and pumps. High salinity is occasionally reported. Where the weathered aquifer and groundwater levels are shallow, groundwater is vulnerable to microbiological and nitrate contamination from latrines. Groundwater in the basement aquifers is actively replenished through recharge from rainfall, particularly during the wetter monsoon periods, at an estimated rate of 12-200 mm/year. Groundwater monitoring and the collation and archiving of groundwater data in the National Groundwater Database have led to a better understanding of groundwater resources in Uganda. There are currently no widespread issues with groundwater quantity, although localised groundwater depletion may be an issue where the low permeability basement aquifers are exploited by high yielding electric pumps. Estimates of recharge are highly variable. Groundwater quality is generally good, although high concentrations of iron and manganese are common in the crystalline basement aquifers, and microbial contamination related to faecal waste has been observed in shallow urban aquifers. 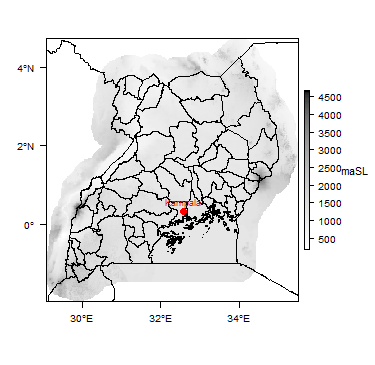 High fluoride concentrations are often observed in igneous groundwaters, for example at Kisoro and Mbale. Groundwater is known to maintain baseflow to rivers, lakes and wetlands in several areas, although the magnitude of these contributions is poorly constrained. The contribution of groundwater is particularly important in the low-relief wetlands along the Katonga River and in the semi-arid Karamoja Region. Groundwater-fed springs are also important in the eastern and western highlands of Uganda. Information on water sources and the water supply situation in Uganda as of 2017 is provided in the Ministry of Water and Environment Water Supply Atlas 2017, which is based on a nationwide baseline survey of all water sources. A total of 73 of the 98 operational water supply systems in Uganda are dependent on groundwater. This accounts for around 75% of all towns and cities. In Kampala City several industries are also reliant on groundwater, including mineral water and chemical industries. Groundwater abstraction permits are provided to users of motorised pumps by the Directorate of Water Resources Management. Most of the rural population relies on groundwater, dominantly from shared boreholes equipped with handpumps. Most boreholes in Uganda tap groundwater from the weathered and/or fractured basement aquifer. The depth and yield of these boreholes varies, for example depending on the local rock lithology and the degree of weathering and fracturing: most boreholes are less than 80 m deep but they can be as deep as 200 m. Borehole yields can vary from 0.5 up to 50-80 m3/hour. Two main government institutions are responsible for implementing national legislation on the sustainable use of natural resources, including groundwater, in Uganda. They are the Directorate of Water Development (DWD) and the Directorate of Water Resources Management (DWRM). Both these directorates sit within the Ministry of Water and Environment (MWE). The DWD is responsible for groundwater regulation, and for the coordination, planning and development of groundwater sources. The two key pieces of legislation governing groundwater management in Uganda are The Water Act, Cap 152, and The Environment Act. The National Environment (Waste Management) Regulation (1999). Collecting information on newly drilled boreholes is done through drilling contractors, who are obliged to return borehole completion forms quarterly to the Directorate of Water Resources Management (DWRM) for each borehole drilled, with a summary of key borehole information. This information is stored in the National Groundwater Database (NGWDB). The NGWDB generally contains information only on boreholes deeper than 30 m. Shallower boreholes and wells are not generally recorded, as they are not generally given a national borehole number. A hard copy of the drilling completion reports is also stored at the DWRM offices in Entebbe. A summary of the NGWDB is given in MWE (2017). In most cases, the returned borehole completion forms are accompanied by additional supporting information in the form of a completion report, which can include siting information, a drillers log, construction data, pumping test data, water quality data and pump installation data. If the summary forms are not fully completed or the information needs to be checked, this accompanying information can be vital. Drillers must request DWRM 'national borehole numbers' from DWRM. These numbers are usually only allocated to boreholes deeper than 30 m, although some shallow boreholes may be given a number. In general, dug wells, hand augered wells and most boreholes shallower than 30 m are not given a national number, but instead usually receive a local District-based number. Most shallow wells are not, therefore, recorded at a national level. There is a national groundwater monitoring network, which in 2017 consisted of 55 boreholes: 23 were already operational and 23 were newly drilled and awaiting instrumentation. Some of the monitoring boreholes are sited close to abstraction boreholes to monitor the effects of abstraction, but most are sited away from any major groundwater abstraction in order to monitor natural groundwater level fluctuations. At 21 of these sites there is also a rain gauge. An overview of groundwater monitoring is given in MWE (2017]). The Transboundary Water Resources Management Division promotes regional transboundary cooperation for the equitable and reasonable utilisation of the shared water resources of the Nile and Lake Victoria Basins. It does this through active participation in the Nile Basin Initiative (NBI) and the Lake Victoria Basin Commission (LVBC), as well as other international water resources management programmes, such as the Global Water Partnership (GWP). The national groundwater level monitoring programme is managed by the Directorate of Water Resources Management in Entebbe. Monitoring started in 1998 and daily observations are available for 30 stations across a range of hydrogeological environments. Data are collected using chart recorders and pressure transducers, which are corrected against dip meter readings. 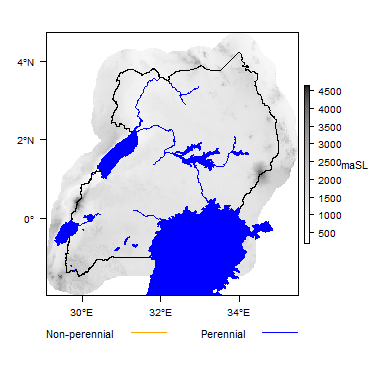 Many of the references below, and others relating to the hydrogeology of Uganda, can be accessed through the Africa Groundwater Literature Archive. Department of Lands and Surveys. 1969. Uganda Geology map: 1:1,500,000 scale. Compiled by R. MacDonald and drawn by the Dept. of Geological Survey and Mines, Uganda, 1966. Westerhof ABP, Harma P, Isabirye E, Katto E, Koistinen T, Kuoasmanen E, Lehto T, Lehtonen MI, Makitie H, Manninen T, Manttari I, Pekkala Y, Pokki J, Saalmann K and Virransalo P. 2014. Geology and Geodynamic Development of Uganda with Explanation of the 1:1,000,000 scale Geological Map. Geological Survey of Finland, Special Paper 55, 387p. Lehto T, Westerhof AB, Lehtonen MI, Manninen T, Mäkitie H, Virransalo P, Pokki J, Härmä P, Koistinen T, Saalmann K, Kuosmanen E, Mänttäri I, Katto E, Bguma Z, de Kock G and Elepu D. 2014. Geological Map of Uganda, Scale 1:1 000 000. Geological Survey of Finland, Espoo, Finland. The Ministry of Water and Environment, Uganda. Outputs from the Mapping of Groundwater Resources Programme. Directorate of Water Resources Management. 2012. Kole District Groundwater Report: Mapping Groundwater Resources in Uganda. Ministry of Water and Environment, Uganda. Ministry of Water and Environment. 2013. Framework and Guidelines for Water Source Protection, Volume 2: Guidelines for Protecting Water Sources for Piped Water Supply Systems. Ministry of Water and Environment. 2013. Framework and Guidelines for Water Source Protection, Volume 3: Guidelines for Protecting Water Sources for Point Water Supply Systems. Ministry of Water and Environment. 2016. Water and Environment Sector Performance Report 2016. Ministry of Water and Environment. 2017. Consolidated Hydrological Yearbook for Uganda 1978-2014. Ministry of Water and Environment. 2017. Uganda Water Supply Atlas 2017. Tindimugaya C. 2004. 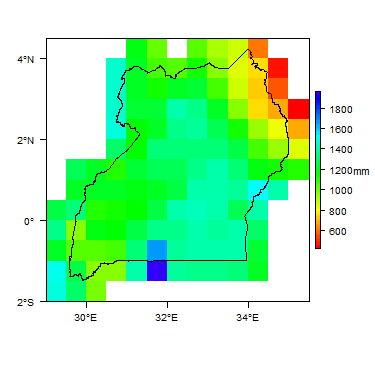 Groundwater mapping and its implications for rural water supply coverage in Uganda. Presentation at 30th WEDC International Conference, Vientane, Lao PDR. Tindimugaya C. 2004. Groundwater flow and storage in weathered crystalline rock aquifer systems of Uganda. PhD Thesis, University College London, UK. UNESCO. 2006. Water, a shared responsibility. National Water Development Report: Uganda, prepared for the 2nd UN World Water Development Report. United Nations. 1989. Groundwater in Eastern, Central and Southern Africa: Uganda. United Nations Department of Technical Cooperation for Development.